Stop searching for motivation from all the wrong people. We got you. 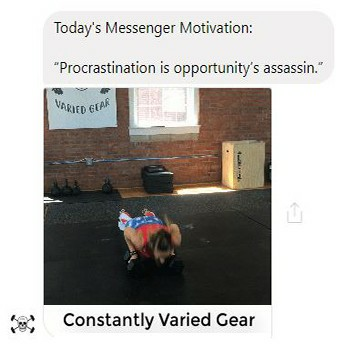 Introducing, Messenger Motivation. 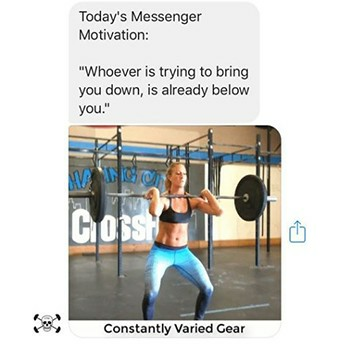 This daily Facebook message sends out a motivational quote (and usually a gif because we're awesome). It's fun, it's free, and you can opt out at any time. NOTE: The time of day that you opt in is the time of day that you will receive your Messenger Motivation each day.